In the last week of August, it was trade and tariff wars along with EM currency capitulation that were the driving forces behind asset prices. Thrown into the mix, G10 central banks and geopolitical risks, the month of September volatility should not disappoint. Topping investors’ agenda this week is the Sino-U.S. trade dispute and Canada NAFTA talks, which are both threatening to escalate along with EM fallout as Argentina’s austerity measures shake emerging markets. Note: Trump may announce implementation of tariffs on as much as +$200B in additional Chinese products as soon as Thursday. Brexit discussions are again pressuring the sterling (£1.2830), now that the market is pricing +25% odds that Britain could leave the E.U. next March without a deal. On the data front, the first of the month brings final PMI readings for manufacturing, services and a composite reading. Down-under, Australia releases Q2 GDP data this evening and Canada will release its important merchandise trade (Sep 5) and employment report (Sep 7). The Bank of Canada is expected to hold rates steady tomorrow (Sep 5). Stateside, international trade, construction spending, factory orders and Friday’s non-farm payrolls are the key releases this week. On the whole, Asian shares rallied overnight, but investors remain apprehensive as the Sino-U.S. trade dispute threatens to escalate this week. In Japan, the Nikkei edged a tad lower, falling -0.1%, after trading often between positive and negative territory. The broader Topix also fell -0.1% as investors wait to take their cue this week from the states. Down-under, Aussie shares fell overnight as reports of fresh investigations into financial institutions kept investors on edge. The S&P/ASX 200 index dropped -0.3% at the close of trade. In S. Korea, the Kospi stock index rallied +0.38%, following the turnaround in Chinese shares, despite the escalation of a Sino-U.S. tariff war. In Hong Kong, stocks ended higher as telecom shares rallied on merger speculations. The Hang Seng index ended +0.9% higher, while the China Enterprises Index closed up +0.7%. In China, equities snapped a five-day losing streak, as investors hunted for bargains in beaten-down real estate and banking stocks. However, pending U.S. tariffs capped gains. The Shanghai Composite index closed up +1.1%, while the blue-chip CSI300 index ended +1.27% higher. In Europe, regional bourses are trading mixed and are off their intraday high open. The FTSE trades little changed after outperformance yesterday ahead of testimony from BoE members in front of the Treasury select committee. Oil prices have rallied aggressively overnight on news of the immediate evacuation of two Gulf of Mexico oil platforms in preparation for a hurricane (Gordon). U.S. light crude has rallied +$1.31 a barrel from Friday’s close to +$71.11, its highest since mid-July, while Brent crude is up +$1.00 at +$79.15 a barrel. Note: the jump is more significant since U.S. crude did not trade Monday due to the Labor Day holiday. Oil markets have tightened over the past four weeks, pushing up Brent prices by more than +10% as investors anticipate less supply from Iran as U.S. sanctions on Tehran begin to hurt. Gold prices are under pressure as the ‘big’ dollar hits a one week-high on the back of intensifying global trade tensions and economic worries in emerging markets. Spot gold is down -0.3% at +$1,196.90 an ounce, while U.S. gold futures have dropped -0.4% at +$1,202.10 an ounce. Note: The yellow metal is down -8% this year amid rising U.S. interest rates, trade disputes and the Turkish currency crisis – the U.S. dollar remains the safe haven currency of choice. Reserve Bank of Australia left their cash rate target unchanged at +1.50% as expected overnight and the accompanying statement was little changed from the last go-around. Policy makers reiterated their stance that low rates were supporting the economy and inflation, and that progress on unemployment/inflation is expected to be gradual. They saw GDP to average slightly higher than +3% in both 2019 and 2020. In Europe, tame Swiss inflation data support the view that the Swiss National Bank will not be raising rates before the ECB does (currently expected in September 2019). Data this morning showed that annual Swiss inflation was 1.2% last month, while core inflation was just +0.5%. Elsewhere, the yield on 10-year Treasuries has gained +2 bps to +2.88%, the biggest advance in a week. In Germany, the 10-year Bund yield has climbed +2 bps to +0.35%. In the U.K., the 10-year Gilt yield has declined -2 bps to +1.404%, the lowest in more than a week. 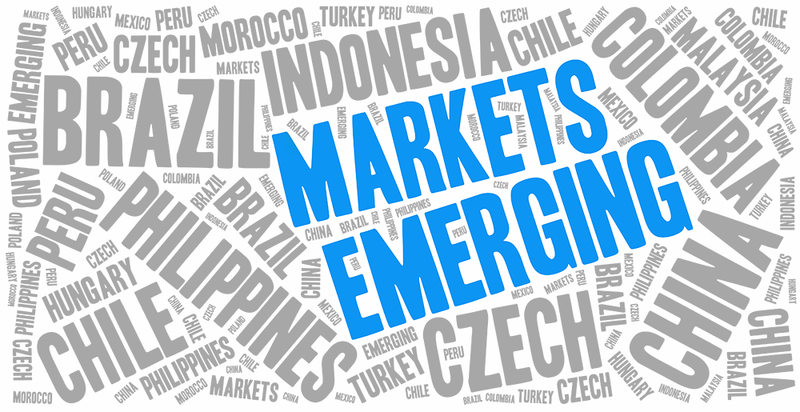 The USD continues to find safe-haven support related to concerns about trade tensions as EM currency pairs suffer. Yesterday, Argentine President Macri announced new taxes on exports and steep cuts to government spending in what he termed “emergency” measures to balance next year’s budget. The Argentine peso closed -3.14% weaker and is expected to face further pressure this week. In Turkey, the Central Bank of the Republic of Turkey signaled yesterday that it would take steps to combat “significant risks” to price stability and also hinted of interest rate hikes. Investors have lost fait in the central banks independent authority – the TRY is trading down another -1% at $6.6920. USD/INR has hit a fresh record high as the pair approaches $71.54 level. It’s expected that state banks have been selling U.S. dollars on behalf of the Reserve Bank of India. In South Africa, the country has officially entered a recession after this morning’s GDP data. Q2 GDP annualized q/q: -0.7% vs. +0.6%E; y/y: +0.4% vs. +1.0%E (moves into recession for first time since 2009) – USD/ZAR is up +2.25% at $15.2520. In Europe, GBP/USD is lower for the fifth consecutive session, probing the lower end of the £1.28 handle as doubts continue to linger on Brexit negotiations and weaker U.K. PMI data. Focus for the pound now shifts to the BoE Treasury-select testimony this morning where Governor Carney (08:15 am EDT) would likely be questioned on whether he plans to stay on beyond his June 2019 term end-date. Data this morning shows that the U.K.’s latest purchasing managers’ index on construction activity fell to 52.9 in August, well below July’s 55.8 and below market expectations for a smaller fall to 54.9. Nevertheless, the index does remain in expansion territory.